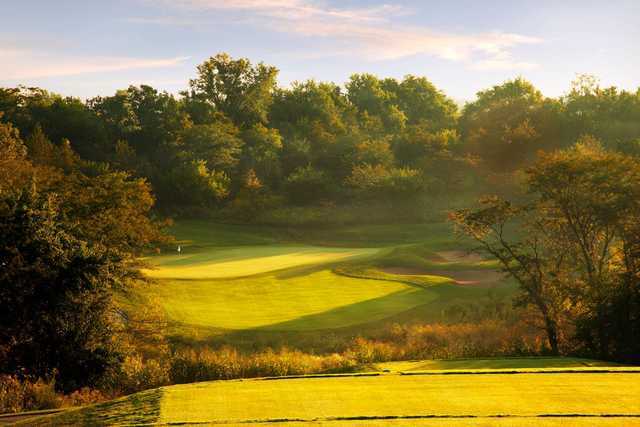 An exciting feature of the new Honey Creek Resort State Park is an 18-hole golf course. 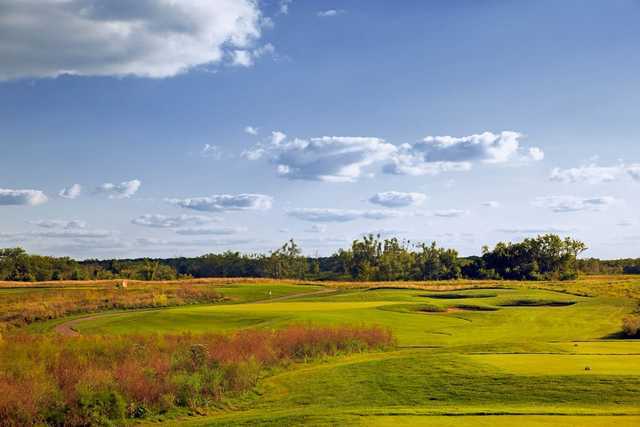 Rarely does a player get the chance to play a course designed and built as closely to the land's original condition as you will when you play at The Preserve pn Rathbun Lake. "The dramatic views and abundance of wildlife make this one of the most beautiful sites we've had to work with", states Kevin Norby, part of the golf course design team at Herfort-Norby Golf Designs - the company who designed the course. The Preserve on Rathbun Lake is part of a nearly 800 acre State Park created by the Iowa Department of Natural Resources - Honey Creek Resort State Park. 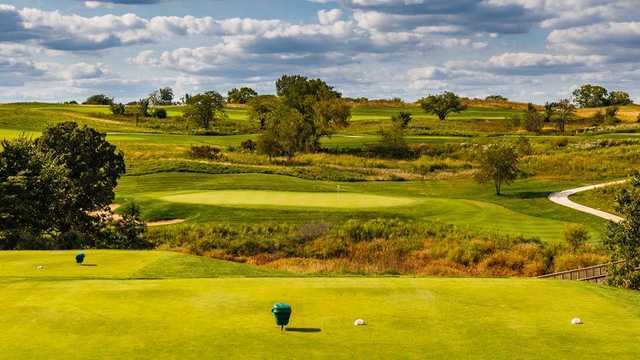 The golf course encompasses approximately 200 acres and rolls through native prairie and natural terrains indigenous to the southern Iowa landscape. 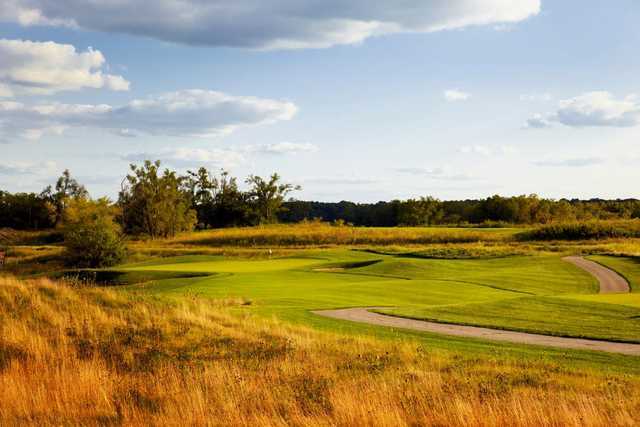 The routing of the course is somewhat unique in that the outward nine starts with two par fives and has three par fives and three par threes. Avid students of the game will appreciate that the land dictates the routing and sequence of holes. The contoured fairways are generous but require the player to choose between a conservative or more aggressive line. 5 sets of tees will allow the beginner, novice, and youth golfers to find the course enjoyable and fair provided that they start on the correct set of tees. The better golfer will find the course challenging as the greens have a subtle amount of slope and require careful attention when determining the best angle of approach at the flag.